It’s no secret that kids find it hard to fall asleep at this time of year. Crazy schedules (or lack of schedule at all), wonky diets, and the sheer excitement and anticipation of Christmas all combine to wreck havoc on getting some shut eye. 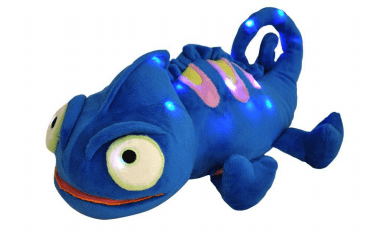 Charley the Chameleon produces soothing sounds and a gentle light show to help sleep come easier. People on the Autism Spectrum can have terrible difficulty falling asleep. There are a number of theories about why and even a greater number of proposed remedies. What most parents know is that having a few different strategies in your arsenal is your best option. Just because something works this week, does not in way shape or form mean it will work next week. All of our kids have given Charley the Chameleon a test run and given him an enthusiastic two thumbs up. The lights and/or music are soothing, almost hypnotizing and helped all of them quiet down so they could doze off. Another added bonus? He isn’t a huge battery hog. His 3AAA batteries have last an incredibly long time. 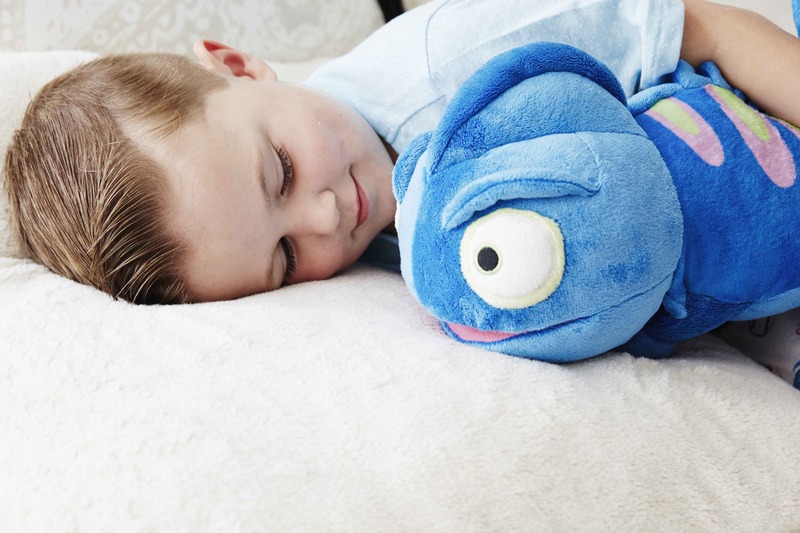 The loveable, cozy lizard is available at independent toy and gift stores across Canada. To check out more about him, you can visit the CloudB website. There is also a handy store search function to help locate Charley and other CloudB products. Charley the Chameleon has not magically solved all of our sleep struggles. It is unlikely that there is any sort of magic bullet. It is, however, nice to have another trick up our sleeve when we need it.